Buy house online? 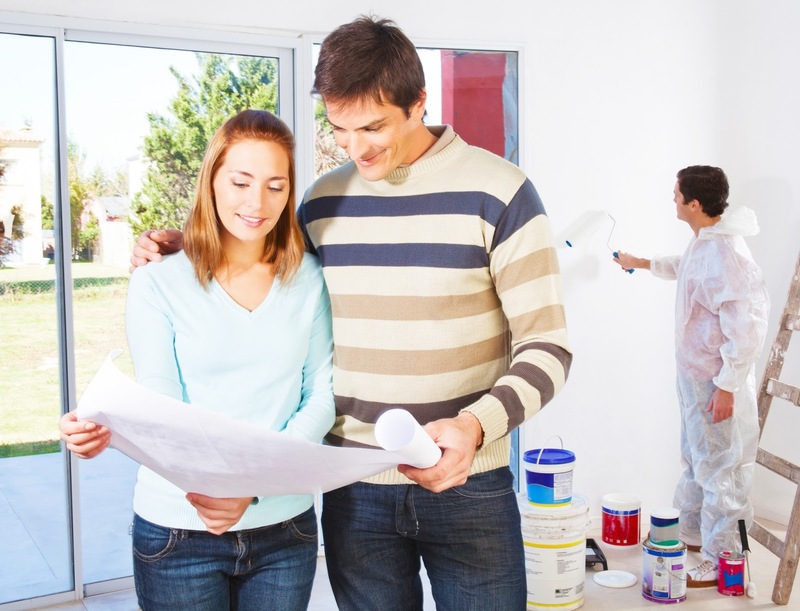 Are you among those who feel tortured for hunt your dream home project? Or, you still have not found a suitable real estate agent for house? Well, the process of buying a house is an activity that is quite difficult and complicated especially for those who are beginners. Required consideration and appropriate decisions in every step, like finding an honest and professional realtor, handling a confusing mortgage application form that, inspecting several houses. Fortunately, with the development of information technology make it easier for humans in their activities, particularly in buy house online. Real estate websites is appropriate and efficient solution to the problem. Additionally, you can easily find a reliable real estate agent to help the process of buying a home. Just sit on your chair and doing some “click” a button on your computer, your issue is resolved. Here is some of the 5 best real estate websites that can help you to buy house online. Zillow.com is one of the websites of the leading real estate websites. Zillow is very unreliable bring consumers in presenting information, knowledge, and inspiration in the home. Zillow provides a menu “Buy”, “Rent,” Sell “,” Mortgage “and” Zestimate “. The Zestimate home value is Zillow’s estimated market value for an individual home and is calculated for about 100 million homes nationwide. It is a starting point in Determining a home’s value and is not an official appraisal. The Zestimate is automatically computed daily based on millions of public and user-submitted the data points. The zestimate calculated from the public and submitted by users, with features special account, location, and market conditions. In addition, zillow also able to search the house based on the location you want. Plus, you can get the data and complete information about the house like a home design ideas and some advice from forum group of real estate. Detailed Search – The data shown in great detail. You can obtain status information homes for rent or sale, number of bathrooms and bedrooms, a broad measure of the house, on sales of homes on the market and also includes house prices. Agent Finder – Zillow also able to search the home agent that match your criteria. You just click the agent name is and will direct you to the profile of the agency. In the agency’s profile, you can know the experiences, ratings, reviews, and contact details to contact the agency. Smartphone App – Zillow.com also provide an application that can be installed into your smartphones. This further allows users to more quickly in the transaction buying their homes. And this application is quite easy to use. Trulia.com is a subsidiary owned by Zillow.com. Trulia is one of the first real estate websites in the world and has more than 4.5 million visitors per month. Trulia.com is also a real estate websites that is most often used because it offers a database of local complete list and knowledgeable about homes, apartments, and other real estate properties for sale or rent. Trulia.com is also very user-friendly with a simple design so comfortable when viewed makes you linger for surfing on this site. Local sophisticated data visualization – Trulia has a very comprehensive visual map of the property that you select. Through the visual map, you can obtain data nearby businesses, schools, markets, and the crime rate is near your area. In addition, you can also find data on population, type of home, and the price history. Blog – Trulia also offers a blog that is a rich source of information and entertainment around the house with a guide, tips, and local news latest real estate. Realtor.com website is operated by Move, Inc. Realtor.com is the official website of the National Association of Realtor’s. The first real estate websites that offer information homes for sale, rent, and mortgage near you. In addition, you can also check the latest interest rate if you want to do credit to the bank. Every 10 minutes, 90 percent of the listings are refreshed from the ‘multiple listing services’. Realtor has some features like, check prices, articles that give advice that can guide you through the home buying process. Another feature is the smartphone app and agent finder. Realtor Calculator – Realtor.com offers a calculator on the site that can assist you in the mortgage calculate your affordability to buy house, rent vs. buy calculator, and refinancing. This calculator is very helpful home seekers to handle their finances systemic. If you watch the first time, this real estate websites may look like a typical home search website zillow.com or realtor.com. However, redfin.com offers more than the site home search. Redfin.com more specialized as a real estate broker website. Redfin.com closer to the confidence factor and customer satisfaction. Redfin.com work with their own agents and some support staff to assist home seekers find their dream home. As with any other real estate website, redfin.com also provide app for smartphones. Street View – Redfin.com using 3D technology to allow users to get a picture or a virtual view in the vicinity of the selected homes. Focus on the customer – Redfin.com very concerned about customer satisfaction. All listings of homes surveyed, and every real estate agent they’ve passed verification. Redfin.com database so that the actual and credible. Redfin.com highly prioritize customer ratings first. Move.com is the website home page that offers you to find homes that fit your criteria. You can use the search feature of the house according to the number of beds, bathrooms and the price range you want. In the advanced search feature, you can customize the home search in more detail and find a home in the country you want. In conclusion move.com a real estate websites that is more focused on finding an apartment, although the home search can also be done. So, if you are someone who is looking for an apartment, move.com website is the right choice. Learning center – move.com a guide for users who experience the complexity of the home search process. Move.com provides many tips and valuable articles and suggestions for home decoration, home search tips, home buying process, and the financial budget planning to buy house. Conclusion : Buy house online is not necessarily complicated or difficult. With the patience to search, research, and good planning and the help of a real estate agent, you can find your dream home. Good luck!